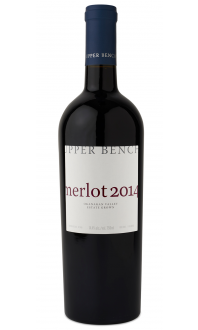 This Merlot is smooth and easy drinking, but is full of flavour. On the nose it displays black cherry, menthol, cassis, spice box, blackberry and anise. On the palate is a perfectly balanced blend of black current, molasses, coffee, cacao, toasted almonds, and cherry. 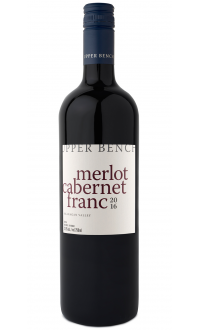 The 2014 vintage was a featured wine in March's Wine Club package, 2018. Appearance: Bright. Semi-opaque. Dark ruby core, pink rim. Nose: Medium+ aromatic intensity. 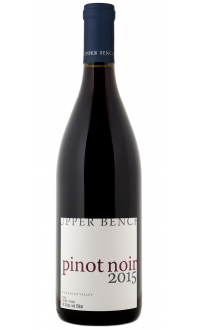 Black cherry, blackberry, ripe plum, licorice, cedar, tobacco, smoke. Palate: Medium tannin, medium acid, medium body. Black cherry and black currant, boysenberry jam, black pepper, cigar smoke, and baking spice. Quality: Very good quality. Eighteen months of ageing in French oak has integrated and rounded the flavours nicely. This wine is a pleasure to drink. Food Pairing: Sausages off the grill, beef stroganoff, lasagne, Cappelletti pasta, Cassoulet, Shakshouka (poached eggs in tomato sauce), slow cooked lamb stew, steak frites with blue cheese sauce.